Our ITEC accredited teaching qualifications are recognised all over the world and prepare Trainee Teachers to teach and assess in a wide range of contexts. 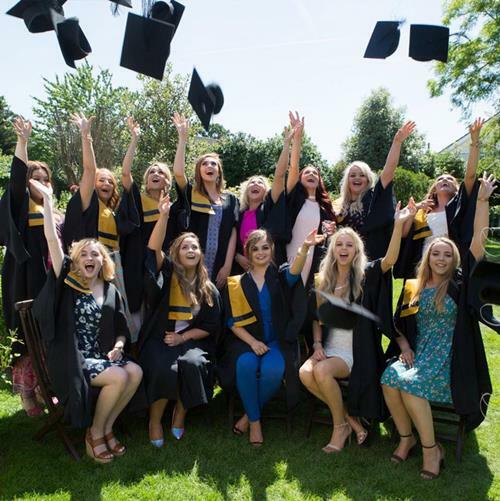 The courses are open to qualified Beauty Therapists, Make-Up Artists, Hairdressers and Complementary Therapists who wish to move their career into teaching, open up their own academy or teach alongside their current role. All our qualifications are recognised on the NFC (National Framework of Qualifications) in Ireland. The field of teaching an assessing are constantly changing and there are many opportunities available upon completion of our course. To work for Colour/Cosmetics/Skincare companies delivering training to Salons and Spas. Bronwyn Conroy Beauty School is committed to producing well rounded teachers and assessors who are prepared to teach and assess upon graduation. The focus of our courses is on gaining practical teaching experience and we believe that any material produced on the course will be used in teaching practice e.g. in producing lessons plans. You will gain confidence through a series of ‘micro-teaching’ lessons on your subject area that you will deliver throughout the duration of the course and feedback will be given. Bronwyn Conroy Beauty School provides the opportunity to all our of Teaching Students to complete both their observation and teaching practice at the college should you desire to do so. Our Teaching Courses are taught by renowned Educator Annette Gaynor who is highly experienced across a range of teaching areas and contexts. Annette is truly an inspirational and motivational figure who consistently receives outstanding online reviews for her teaching methods and skills.